This is a sugar scrub. What is a sugar scrub? It is soap that has fine grains of sugar that cleanse and exfoliate the skin leaving it all smooth and glowy. 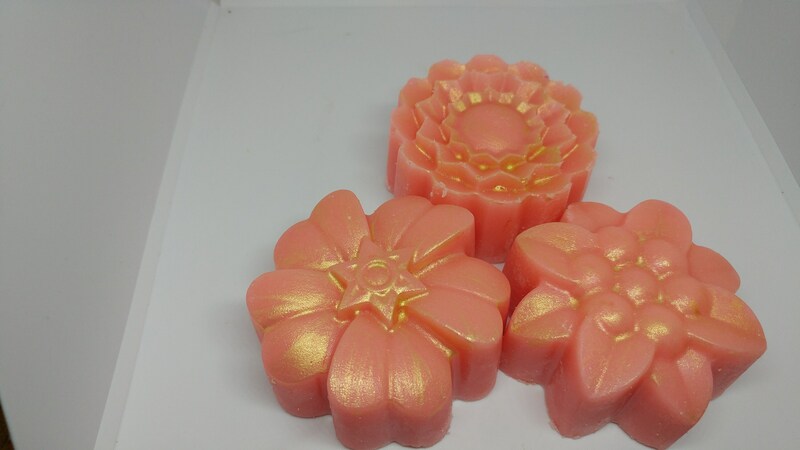 I created this soap as a personal gift for myself this Mother's Day. As the mom of 6 beautiful children, I think I earned this decadent treat. This is a big bar of soap with special sugars such as castor pure cane sugar, whey sugar, a nice scrubby textured sugar pearls from Europe and maple sugar from the maple trees here in Canada. You can watch me make this soapy sugar confection on the You Tube channel Jen Spice. Scented with my current favorite rose fragrance (a duplication of Lush's Rose Jam), Gilded Rose Sugar scrub is just delish. To finish off the shiny glycerine sugar scrub I hand painted it with mica to 'gild the rose' so to speak. Is this a single use product? If you scrub for hours perhaps in a very hot tub, but for me this sugar scrub bar lasts as long as most of my glycerine soap. Keep it out of standing water where it can dry, and it will last even longer. 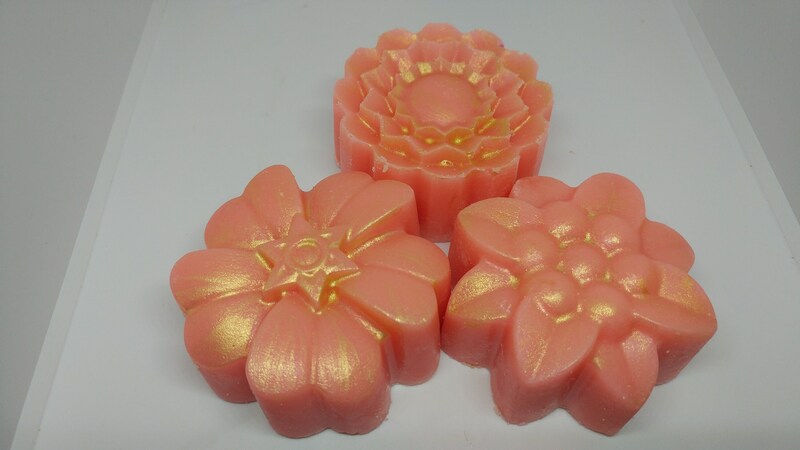 You will receive a shrink wrapped floral bar of one soap. Styles vary (floral).